Asparagus is one of those vegetables that I thought I had enjoyed just about every which way. 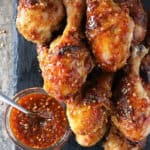 I’ve had it baked with bacon, pan seared with garlic, steamed with lime, even grilled up with gorgeous, caramelized, char marks! 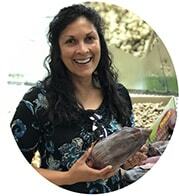 But, a couple of weeks ago, David Lebovitz shared a recipe using asparagus that had me questioning my asparagus-eating-experiences. 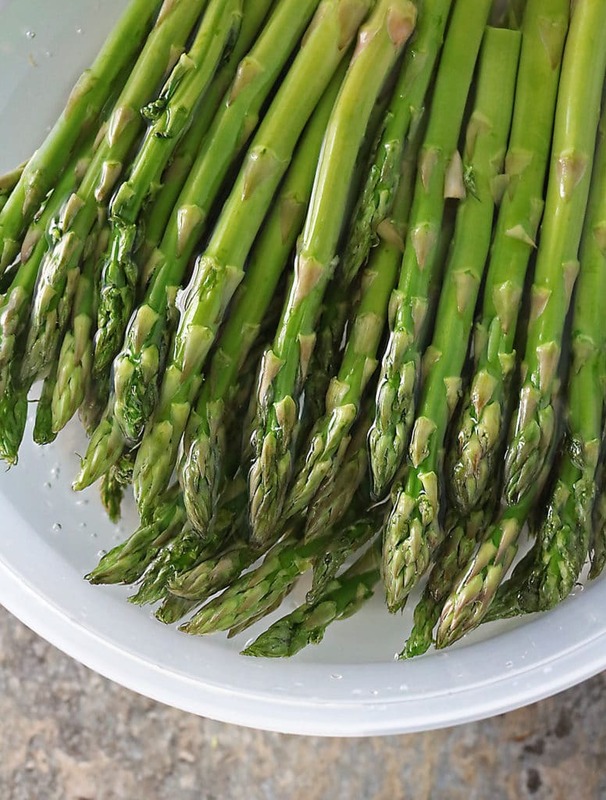 In the recipe he shared, Lebovitz paired steamed asparagus with a dressing made with wine, shallots, dijon mustard, parsley, olive oil, capers and boiled eggs. 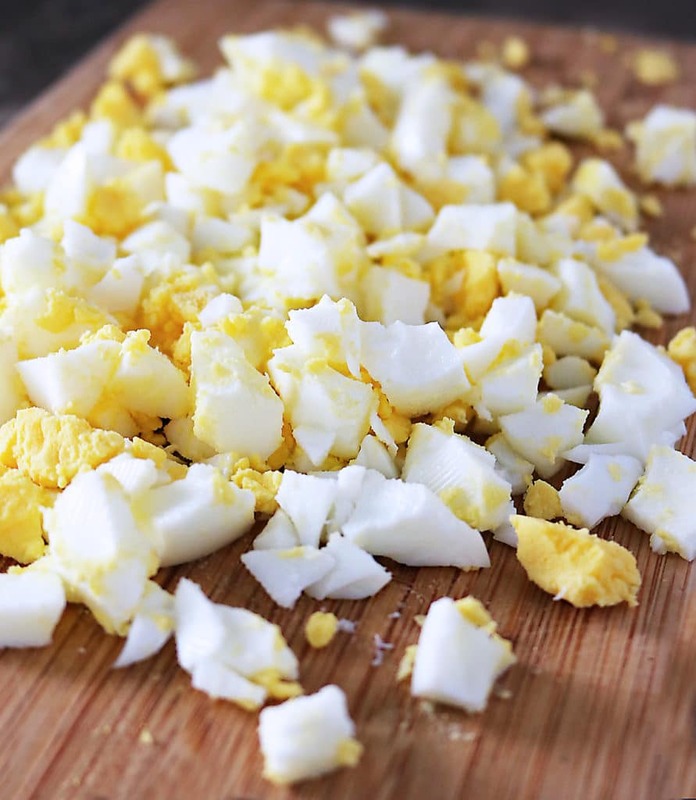 And it had me thinking – why or why had I not paired asparagus with boiled eggs before?Theoretically it sounded like such a tasty combo – like boiled eggs and beets! Or, for those of y’all who aren’t as enthusiastic about beets as I am: the combo of brussels sprouts and bacon! But, I decided to change things up a bit.I opted to pan sauté the asparagus instead of steaming them. Instead of a dressing, I opted to keep things super simple and season the asparagus with shallots, garlic, salt and pepper and then toss some boiled and diced eggs on top of the sautéed asparagus. 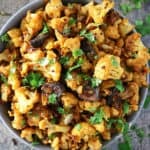 As I always seem to have sundried tomatoes hanging out in my fridge, I opted to use those instead of capers – I just diced them up and sprinkled them on top, along with a bit of the oil that was in the jar they came with. I topped the whole concoction with a pinch (not more) of salt and pepper and sprinkled it with parsley. My plan was to have this as a side item at our dinner table that night, along with some Honey Chilli Salmon and turmeric quinoa. But, I didn’t realize that me asking my daughter to take a taste test would result in her polishing half of this Sautéed Asparagus Egg Salad while standing around our kitchen island. This easy Sautéed Asparagus Egg Salad would make a delicious side item at that brunch you might have planned for Mother’s Day this weekend – which could be followed up with a slice of this glorious Pistachio Rose Cake. Rinse it then submerge it in some cold water to loosen any dirt or grime that may be lodged up in it’s spears. 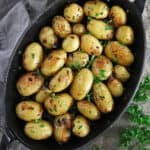 Shallots seem to lack the bite you get with onions. They are milder and a bit sweeter than onions. 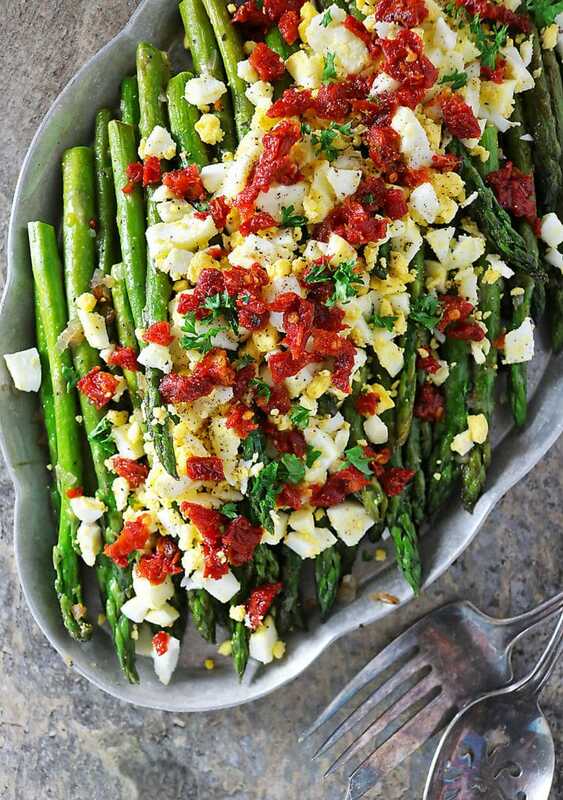 And, in this dish, I feel that they let the eggs, sun dried tomatoes and asparagus take center stage. Now, garlic isn’t the easiest to grate , but the flavor explosion from grating it instead of chopping it is immense. 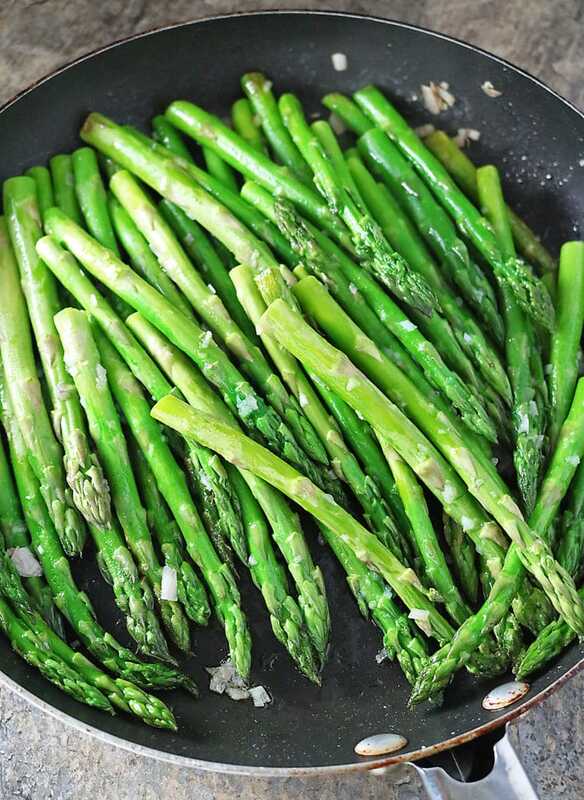 • Make sure to pan sauté your asparagus for no more than 6 minutes. The asparagus might appear to be a bit firm – but, they soften up as they cool down. 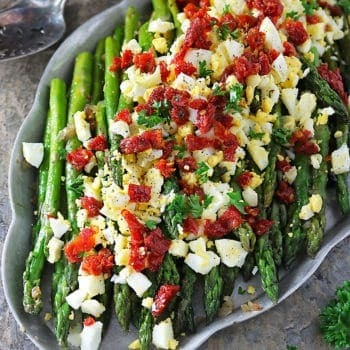 • Boil and peel your eggs and let them get to room temperature before adding them to this dish as the asparagus might tend to keep cooking if paired with hot boiled eggs too. 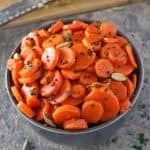 This is a super quick dish to prepare, but make sure you adjust the salt and pepper according to your taste preferences. Also, keep in mind that different cans of sudried tomatoes will have a different level of saltiness so best taste them before adding them to the dish. I used parsley to top this off as I thought it would pair well without taking away from the dish, but chopped rosemary or thyme would work well too. This Sautéed Asparagus Egg Salad with shallots and sundried tomatoes would make a delicious side dish your family would enjoy at a weeknight dinner. 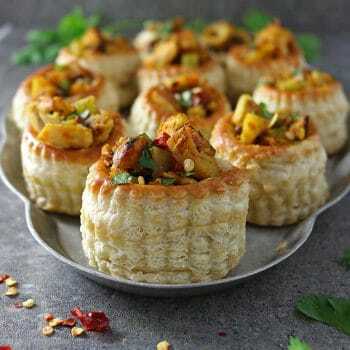 Or, serve it up at your next get together with friends, for a tasty addition to any meal. First off, rinse off the asparagus. Then, chop each of the asparagus spears in half (right around the half way mark on the stalk) and discarded the end bits as they tend to be tough sometimes. Place the top bits of the asparagus in a bowl with cold water to get rid of any more dirt and grime. Then, rinse one more time and let sit on a paper towel. Add olive oil to pan and add in the shallots and let them cook over a medium flame for about 7 minutes. Add in the asparagus and grate in the garlic on top of it and saute for about 5-6 minutes. *If you don't want to grate in your garlic, you can chop it up and add it too. Remove the asparagus from the heat. Season with a pinch or two of salt and pepper. Top the sauteed asparagus with the diced boiled eggs. Sprinkle on the sundried tomatoes on top and them sprinkle on the parsley. Sprinkle on a bit of salt and pepper on top too (optional) and enjoy. 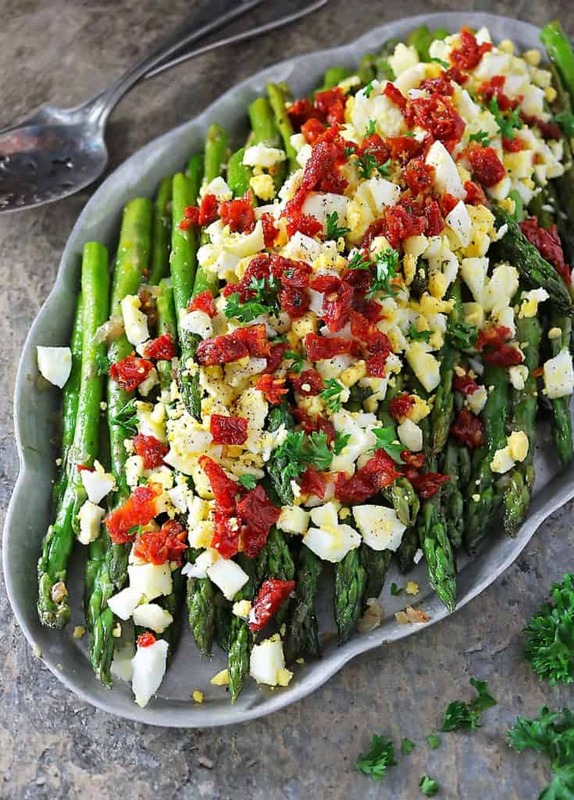 A perfect dish to celebrate asparagus season! That’s fanny. As soon as I read the first lines regards pairing asparagus with eggs, I was going to recommend you the asparagus “mimosa”, but turned out you were talking about it. Indeed, asparagus and eggs are so good together, and I’m glad you’ve discovered this revipe. Looks beautiful!